New Theory Exclusive on Pop Sensation, Rutherine! New Theory Magazine caught up with Las Vegas based, Filipino-American Pop Sensation, Rutherine! Rachel Dares: Can you give us a background on where your passion in music began? 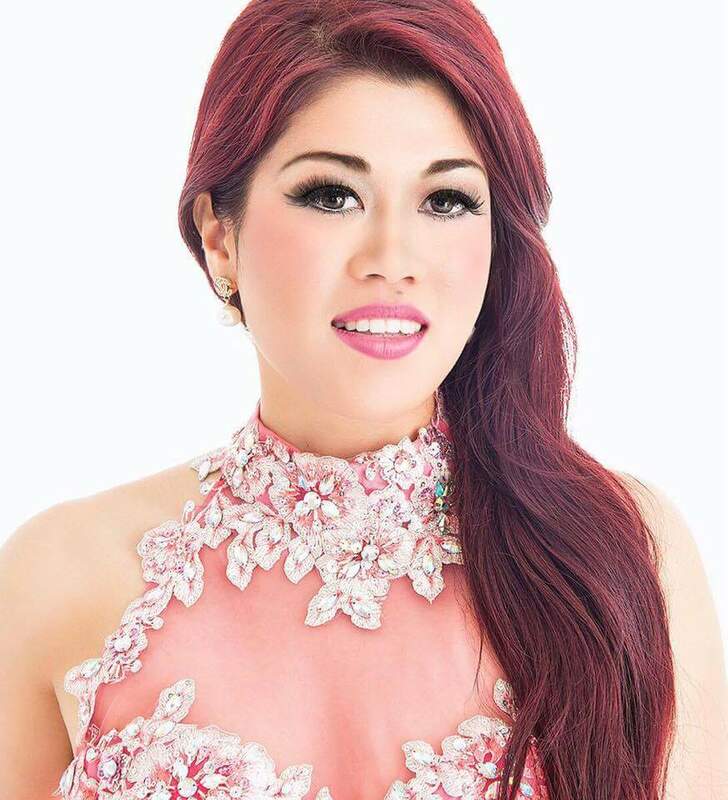 Rutherine: I started singing professionally at the age of 4 in a concert choir, but my interest in singing began at the age of 6 when my mom bought my brothers and I ‘Karaoke for Kids’. I remember being the only one who actually ever used it. Growing up in the Philippines, there were a lot of singing competitions in the neighborhood. I recall on one occasion, I had my neighbor braid my hair and put make up on me. I told her I was going to compete. I remember surprising the organizers since I showed up backstage by myself. They asked for my mom. I told them that my mom was at work. And, of course, they told me that I needed to be accompanied by an adult to compete. So, I had to walk all the way to my aunt’s house and bring her back there, only to be told that registration was over. The organizers saw my persistence, and although they didn’t let me compete, they had me dance as a break in between singers. Rachel Dares: Who were your musical influences and how have they inspired you to shape who you are as a singer & songwriter? Rutherine: First, let’s talk about being a singer, then being a songwriter. Those 2 came at different seasons of my life. As a singer, Britney Spears is one of my musical influences. I love how she dances and performs. I thought to myself, if I was to do my own music, it would definitely be in the same genre as Britney’s. Her music is what I enjoy listening to. Then, there’s Whitney Houston. I wanted to be just like her when I was growing up. I loved the way she sings, how she puts soul in her music, her originality… I just loved everything about her! As a songwriter, I am a newbie in this area. Although I did write poetry since I was in my teens. It is a very long story how my songwriting began, but in a nutshell, I feel like I was pushed into writing my own songs in order to stand out. Anyone can do covers, but I wanted to build my own name, my own music, my own brand, and eventually build my own fan base. Singing other artists’ songs could only get me so far. It was in creating my own brand that has led me to the success I’m experiencing now. What ultimately inspired me to be a song writer is my little niece. She is truly my inspiration. One day her dad caught her singing to a famous pop song, although fun and catchy, the lyrics were inappropriate for a little girl. It broke my heart since my niece didn’t even understand what the lyrics were all about. All she knew was that she wanted to sing and dance to the melody. Nowadays, it’s rare to find any clean, positive and uplifting lyrics. Because of this lack, I want to write songs that answer the call. And, create songs that inspire the next generation. Rachel Dares: How would you describe your music? Rutherine: My music is a cross over between Electric-Pop, EDM-Pop, Retro-Pop and Dance-Pop. I write songs from my own life experiences inspired from my burden of encouraging today’s generation to love and forgive, to never give up, to be a fighter, and to enjoy life to the fullest! Rachel Dares: What are some challenges you face as an artist? How do you work to overcome those challenges? Rutherine: With the rise of the Me Too movement, it definitely helped to shine the light on what goes on in the industry. There’s a great deal of people that feel they can take advantage of artists because of their position. And, actually expect you to sleep with them. In my opinion, it is through self-worth, hard work, persistence and faith that I’ve overcome. Having a good reputation to me is far more important than popularity. This is why I’ve created my own music and have my own record label. I make my own money so I don’t feel obligated or made to feel that I owe anyone anything. Rachel Dares: What word of advice would you give aspiring artists as they pursue their dream? Rutherine: No one is too young or too old to dream. Pursue your dream and live the life you’ve always imagined! Rachel Dares: Who is the one artist you would like to collaborate with and why? Rutherine: Again, I would have to say, Britney Spears. Rachel Dares: What projects are you currently working on? Rachel Dares: How can your fans connect with you?